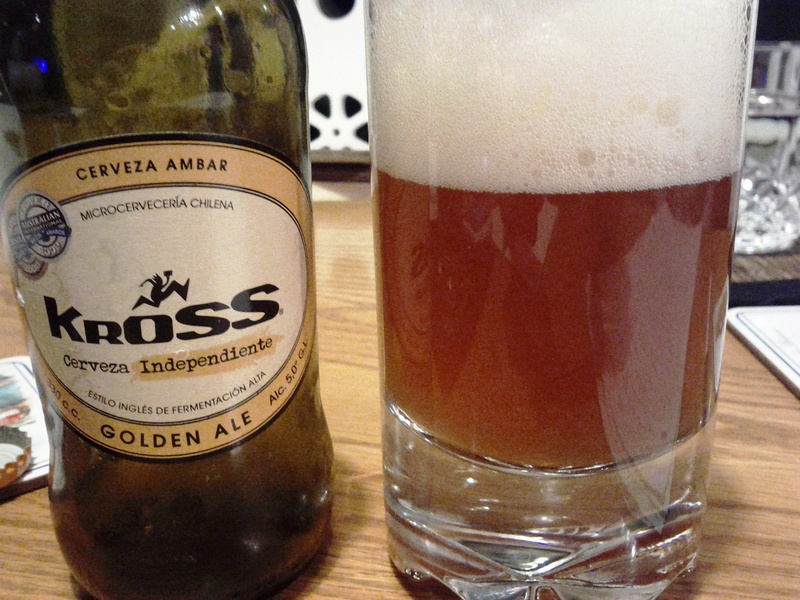 Kross Brewing Company hails from Chile, and doesn’t even have an official website I can link you to. I guess the article will have to do. This golden ale came at a great price: 4 bottles for $8, and it’s well worth that cost. The end of a batch at Edgemont Fine Wines, Spirits, and Ales, I have yet to see the golden ale, or any other Kross beer for that matter, in any liquor store or bar since. I guess it was a bit of a one-off, but its unique taste and complexity makes it worthwhile, indeed. This is a fairly spicy beer. The nose shares notes of pepper, cumin, and a touch of nutmeg. There is a bit of malt, and a bit more hops that dance delicately on the palate, while bits and pieces of various spices may be perceived. The body is rich, smooth, and easy drinking, but has some “oomph”. It’s not a chugging beer, but not quite a sipper either — it’s highly well balanced in this regard. There is a subtle hop characteristic on the palate which relieves itself in a highly crisp finish. A true Chilean session beer! Unlike Kamran I did not pick up the spiced notes of this beer to the extent I could name them, but still there was some zip in this Chilean sensation. Kross Golden Ale proved to be one of those beers that has potential to grow on a person, and I’m sure my marks would reflect that if I’d have had it over an expended period of time such as the summer months, but on a single tasting the score may seem to be a bit low in relation to what it could have gotten with more familiarity. It was light and fruity/citric on the nose and the opaqueness of it seemed to remind me of a blond or wheat beer. While there was a sharpness in nose and body, the fruit and citrus presented themselves in the taste quite prominently on my palate. That may be where I lost the sense of spice Kamran referred too, since I focused on the fruity flavours of the brew. The aftertaste was a lingering sweetness that balanced out and faded away. As I previously mentioned, it was a single tasting, but I feel this beer could have grown on me had it had more of a chance to sink in. While not an immediate favourite, I believe my scoring is honest to this brief encounter and I am open to reviewing it again should the opportunity present itself. During the holiday season, Tree Brewing, a relatively-larger-but-still-craft brewery from Kelowna releases their Spiced Reserve. It is one of only a few products they release in tallboy bottles — what is typically considered part of a Brewmaster special. In the case of their Spiced Reserve, Brewmaster Stefan Buhl uses a variety of Christmas-themed spices, such as cinnamon, nutmeg, and whatever else Buhl throws in on a whim. Upon first opening, Tree Brewing was larger than your typical craft-brewery. Using shaftebury’s old equipment, and going through several management and ownership changes, they have become larger still. In fact, they are one of few BC craft breweries that have product available across Canada — Ontario in particular. As a result, of course, the quality of their product has lessened to a degree — brewing on a large scale seems to necessarily yield some loss of quality — but I have to give Tree credit where it’s due, since they have managed to expand without losing their characteristic flavour — something I feel Granville Island and Okanagan Spring have all but lost. Tree Brewing is certainly up there with my favourite craft breweries, despite the fact that I don’t really love any of their beers. While their Hop Head Double IPA — enjoyed on tap at the alibi room, since it’s not bottled — is my favourite, I am quite pleased but rather indifferent to the rest of their beers. I think the Cutthroat Pale Ale, Thirst Beaver Amber Ale, and Kelowna Pilsner, although not ostensibly ‘great’, are some of the best everyday beers out there, and, in tallboy form, some of the most economical as well. 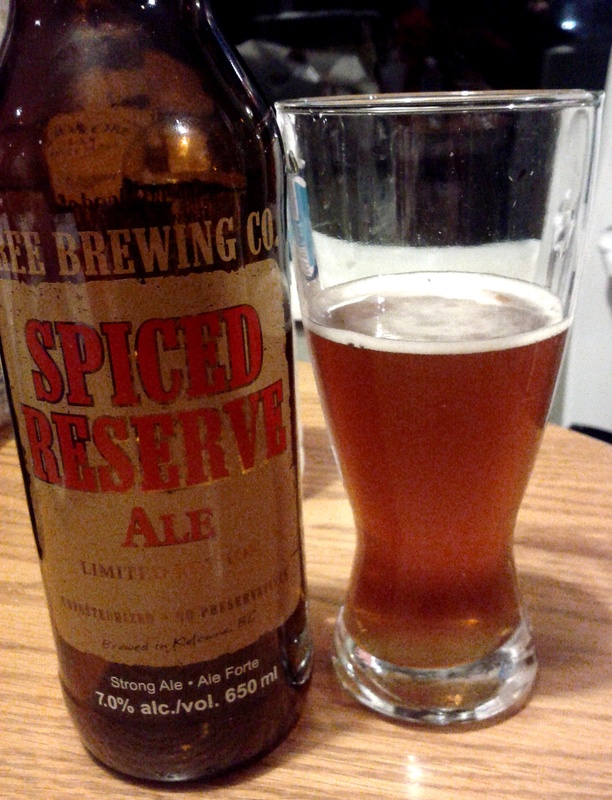 The Spiced Reserve opens up with a strong spice character. Under its copper-brown hue lies a myriad of holiday flavours; notes of various spices, such as nutmeg, clove, and pepper, amidst a robust floral-citrus hop profile come clear on the nose. Although there is a reasonable amount of hops, there is a sufficient amount of malt to balance the flavours; in fact, in terms of its hop-malt balance, I’d compare the Spiced Reserve to Phillips Double Dragon Red Ale, a seasonal that attempts to perfectly balance its hops and malts. 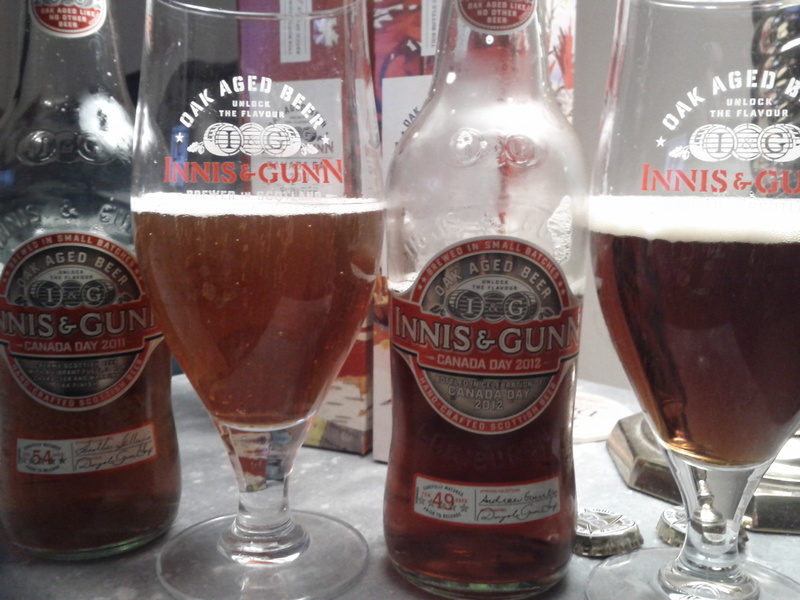 This feat gives the beer much richness, but the body is still rather light and smooth. The spices are quite abundant, but not too overwhelming. Still, because of the spices, I wouldn’t want to drink more than one of these. Nutmeg and cinnamon, I would say, are the most liberally spiced, while the beer finishes with a long, slightly bitter, cinnamon-hop aftertaste. Well as I may have stated before, I’m not the biggest fan of overly bitter beers…. Combined with spices such as cinnamon and nutmeg, two things I tolerate sparingly, this beer was doomed from the moment of pouring. That might be a slight exaggeration, but still I felt a little let down by this beer. The nose was initially malty, with the spices and hops aromas. In body it was bitter and not so smooth. 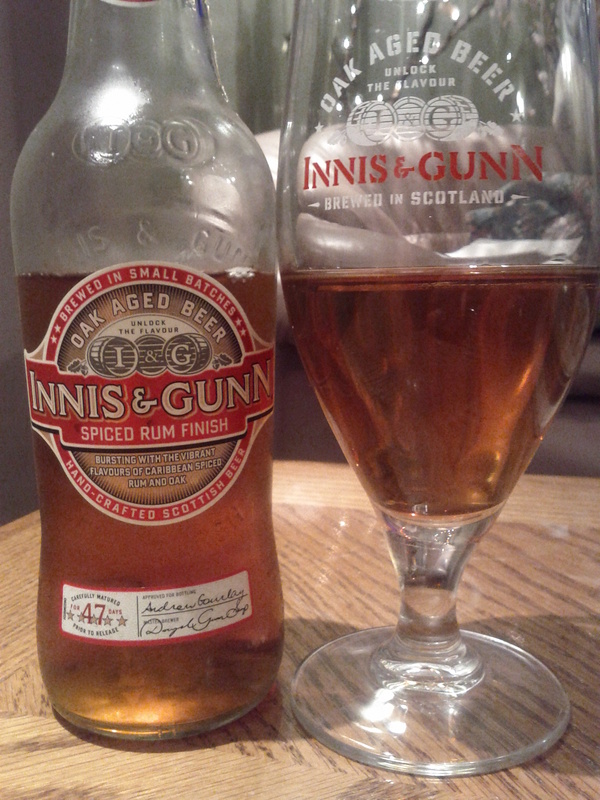 It had a malty sweetness to taste that was not unappealing, but nothing special in my opinion. The finish was short lived and consisted of spices and hops. Unlike Kamran, I did not fully appreciate this beer. It wasn’t my style. I’m sure other found it great seeing as Tree is a very respectable brewery, who made the best winter ale I’ve ever had, but this sadly was not one I enjoyed. I look forward to trying more of their beers in future, just less bitterness and spice for me please!